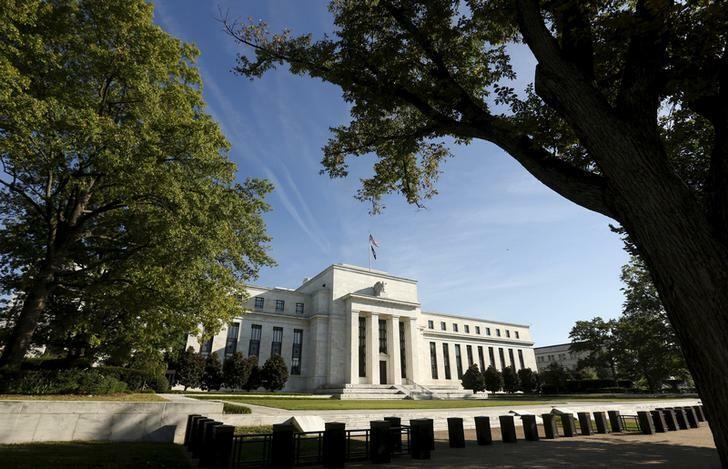 NEW YORK/SAN FRANCISCO (Reuters) - Once the Federal Reserve lifts interest rates from near zero, likely this week, the focus will turn to the other legacy of the crisis-era policies: the Fed's swollen balance sheet. Arguments in favor of a leaner pre-crisis era Fed portfolio have been well laid out. A smaller balance sheet would mark a return to "normal" policy, minimize the Fed's impact on the allocation of credit across the economy, and help defuse political pressure from critics accusing the Fed of overextending its influence beyond its core monetary mandate. Today as the long-anticipated rate lift-off draws close, the central bank appears to be warming to the idea of a sizeable balance sheet. A big Fed portfolio could help stabilize financial markets by inducing banks to keep greater amounts of money in reserve, advocates say. Experts addressing a conference hosted by the Fed last month, said the central bank Fed could use the assets as a new "macro prudential" tool to deal with financial market bubbles - by cooling particular sectors with targeted asset trades - and ward off investor runs by letting ample bank reserves act as a buffer. And while the Fed is now replenishing its portfolio as bonds mature and plans to continue doing so for another year or so, policymakers have directed staff to examine alternatives and to consult outside experts, according to minutes of the Fed's July meeting. For example, Fed researchers have been studying how many and what type of bonds should be stay on the Fed's books in a "post-normalization world" - an effort one source familiar with the work called a "once in a decade" research opportunity. To be sure, some policymakers and economists still see compelling reasons to shrink the Fed's holdings. James Bullard, president of the St. Louis Fed, said last week it would be "prudent" to bring it to "more normal levels." Still, there are obvious financial stability benefits to keeping the balance sheet large, he says. The debate, Cochrane adds, should center on whether to hold on to both long- and short-term bonds, and whether to dump mortgage bonds and retain only Treasuries.